WVU Medicine Camden Clark Medical Center, through its partnership with the WVU Heart and Vascular Institute, has built one of the finest cardiac surgery programs in the United States, providing comprehensive cardiac care for patients with heart problems, including shortness of breath, chest pain, palpitations, high blood pressure, and vascular disease. Camden Clark Medical Center is the ONLY hospital in the Mid-Ohio Valley that offers open-heart surgery. As such, we are committed to working closely with our patients and their families to develop a comprehensive treatment plan – one that is grounded in trust and open communication and built on the notion that every patient deserves a compassionate care team, the only focus of which is to care for that patient and provide them the best possible outcome. Our surgeons also use the most advanced procedures, including minimally invasive cardiac surgery, robot-assisted cardiac surgery, transcatheter valve procedures (including Transcatheter Aortic Valve Replacement – TAVR), and percutaneous mitral valve treatments. 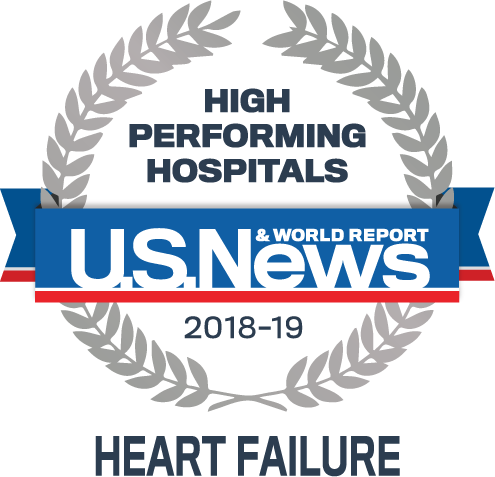 The cardiac surgery team is on the forefront of using new technologies, procedures, and treatments for cardiac patients. For more information or to schedule an appointment with our Cardiovascular and Thoracic team call 304-424-4760. 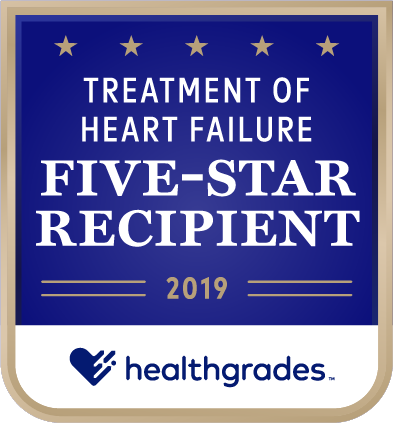 Our exclusive alliance with Parkersburg Cardiology Associates offers comprehensive evaluation and management of diseases of the heart and circulatory system and work with primary care physicians to ensure coordinated, continuous care. Special services include physical fitness evaluation, non-invasive and invasive studies, and interventional procedures. Camden Clark’s cardiopulmonary department offers diagnostic tests and procedures to provide a total picture of a patient’s cardiopulmonary status. The physician will determine the best course of medical treatment based on the following. Cardiac rehabilitation – Cardiac rehabilitation provides ECG and cardiac rehabilitative services for patients who have had a heart attack, valve replacement, stable angina, bypass surgery, and other heart-related conditions. Cardiac rehabilitation includes disease education and a comprehensive program to monitor exercise. Cardiac catheterization laboratory – Cardiac catheterization helps diagnose the presence of heart disease, such as blocked coronary arteries. 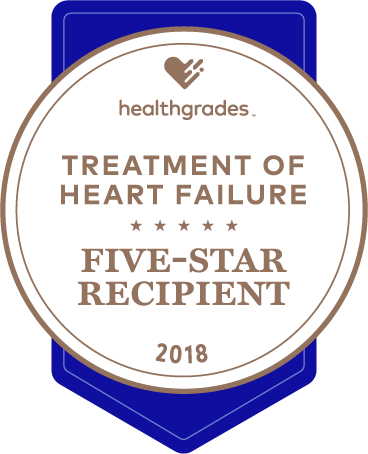 This diagnostic procedure evaluates blood flow to the heart and determines the condition of heart muscle, coronary arteries, and the valves and chambers of the heart. Pacemaker and defibrillator insertions are also performed in the cardiac catheterization laboratory. Echocardiogram – This ultrasound procedure provides images of the heart from outside the chest wall. The echo may be done on an inpatient or outpatient basis and may be performed at the bedside. The transesophageal echocardiogram (TEE) is an ultrasound procedure that provides images of the heart from inside the esophagus. It is used mainly for diagnostic purposes, but can also be used to monitor cardiac patients during surgery. Electrocardiogram (ECG) – This diagnostic test determines electrical activity and conduction within the heart. Holter monitor – This ambulatory diagnostic test is used by physicians to evaluate the heart’s performance over a 24- to 48-hour period. Stress testing – Stress tests allow physicians to evaluate a patient’s blood flow to the heart before and during exercise. These tests show how the heart functions when it has to work harder and requires more oxygen. Nuclear stress testing includes the injection of a radioactive material to enhance a higher quality of X-ray imaging. In non-exercise stress testing, a medication is utilized to stimulate and exercise the heart without actual exercise. Pacer clinic – This clinic provides pacemaker and defibrillator analysis for patients with implanted cardiac devices. Clinicians have the ability to assess function, test generator, and assess lead integrity and battery status to determine elective replacement time. Necessary changes can also be programmed into the device during pacer clinic under the direct supervision of a cardiologist. For more information or to schedule an appointment with our Cardiology team call 304-424-4574. Sorry, no providers were found to match the search.